Imperative draws on many years of practical experience gained specifically in retail & out of home media networks relating to network development, network operations, project management and insight management. To maintain our independence, Imperative is completely technology, process and vendor agnostic, enabling us to offer high quality value to our customers. This value is based on a cocktail of primary knowledge, experience, connections, method and approach gained from working within relevant & specific areas of retail, marketing, communications, broadcast television and technology sectors. 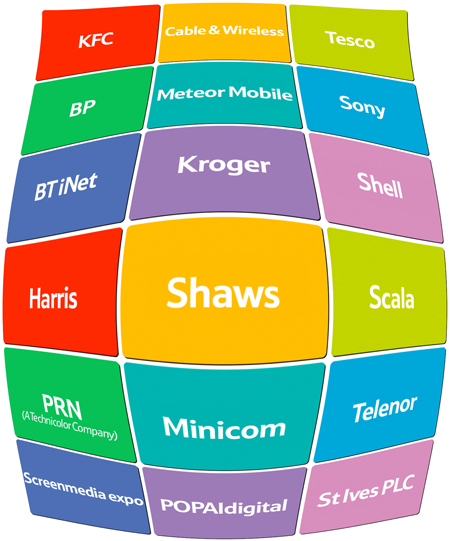 The range of our clients' interests reflect our ability to work across the entire digital Screenmedia ecosystem, from 'end users' including retailers, corporations and media agencies to the supplier market, which includes integrators, added value resellers and technology companies. We are practitioners. We walk the talk. Our value proposition is derived from over 12 years of relevant experience, specifically in the fields of new product development, research and business development in the Screenmedia marketplace. Our experience as practitioners has been gained working directly for a wide range of businesses including Sainsbury’s, Viacom (now CBS Outdoor), in-store radio and television providers DMX Music (now Mood Media) and captive audience network providers Applied Television, How and Why (Instrumental Media Group’s strategic consultancy), the CAN Media Group and StoreCast Media.